If you liked this show, you should follow HMBradio. The Homemade Broadcast this week we're talking Wyoming banning Rap, Hurricane Maria death numbers become a point of contention in the Florida Senate race between Bill Nelson & Rick Scott and Miss America pageant ditches the swimsuits (and not the good way). Join the conversation and leave a text or voicemail at (813) 693-2124 and visit HMBradio.com. 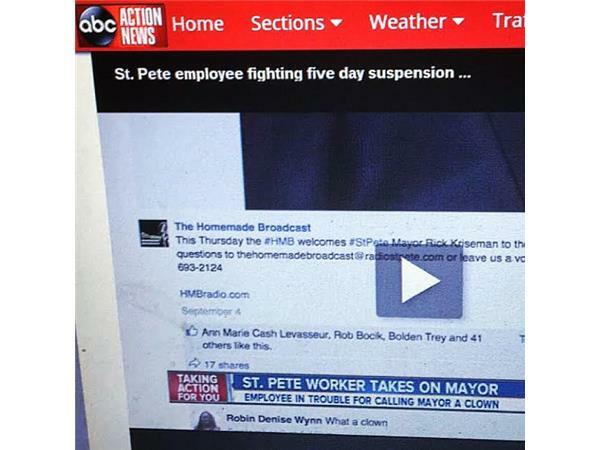 The #HMB airs Sunday's on radiostpete.com @ 6:15PM & Monday's at 10:15PM or on demand via Stitcher (http://bit.ly/2wuLR7a) or iTunes (https://goo.gl/xKN5OY) Leave a voice or text message for the show @: (813) 693-2124.